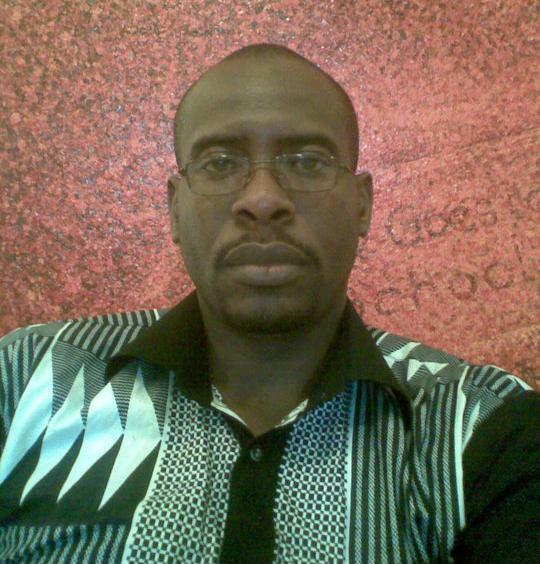 Adimchinma Ibe is a writer and was born on May, 05 1977 in Umuehihie – Amuda, Isuochi, a small town in Umunneochi L.G.A, Abia State of Nigeria. He is the author of ‘Treachery In The Yard – the first thriller in the Tammy Peterside series. GEOSI READS: I have given my readers a very simplistic biography about you, I suppose? But can you tell us more about yourself? ADIMCHINMA IBE: I can describe myself in three words, “I’m a Writer.” Beyond that, I’m just any regular guy you meet on the street or that live next door. There’s nothing special or outstanding about me or my personality, but I can also tell you that I’m humble, and likable. I’m a lively person and depending on the occasion, could be a bit chatty or seem withdrawn, especially when I’m working on a manuscript. I started my primary school education at the Mission Hill Primary School, Ibeku, Umuahia in 1982. In 1983, we relocated to Aba now in Abia State, where I did three years at the Azikiwe Road Primary school. We moved again, to Okigwe where I did my final two years of primary School. In 1989, I entered Secondary School at the one time prestigious Boys’ High School, Ihube. I was there for only one year, and I briefly attended Isuochi Secondary School at my home town before we moved again to Rivers State in 1991. I spent four years at the Birabi Memorial Grammar School where I obtained both my Junior Secondary School Certificate in 1991 and Senior Secondary School Certificate in 1994. I also spent one year at the university studying for a Bachelors degree in Microbiology before I had to leave school. GR: ‘Treachery In The Yard’ should be your debut novel? What is it about? AI: Treachery In The Yard is my first novel to be published. I have written few others before it that was not published but Treachery In The Yard is my first published novel so yes, you can say it’s my debut novel. The novel is about Detective Peterside who is drawn into the politics of Nigeria when a bomb goes off at Pius Okpara’s home. He was an important politician in the middle of an angry nomination battle to head the National Conservative Party’s banner. A previous “peace meeting” between them ended up in fighting between their supporters which left one person dead. The Detective’s not happy with the investigation of the bombing, and the politics involved. However, he then learns that his mentor is protecting the suspect. The Detective knows something very wrong is going on, and becomes obsessed with getting to the truth. But his Chief does not see himself as corrupt, but rather as a balance between the different forces threatening to tear Port Harcourt apart. The Detective is able to bring them all to justice, but learns only at the end that the Chief has been in effect protecting him, grooming him as an eventual colleague. I suppose ‘suspense’ should be one of the major elements that run through the story. Why the suspense? Is it an effort to attract the reader’s attention? Is it an effort to build up the plot? AI: You might not be far from the truth if you say that the element of suspense in the beginning of the novel is to attract the reader’s attention. But it is also an effort to build up the plot especially since I was writing in the first person, so I had to put the detective in the middle of the chaos. Writing in the first person could be a lot more difficult because you can only write what your hero sees, hears or perceives at the moment since he has to be present in most of the scenes but it also heightens the suspense, that’s why I chose to write in the first person. The hero is always where the action is happening. It makes the story more alive! GR: Choosing a title for a novel could sometimes be a herculean task but I find the title of your book attractive and inviting. How and why did you arrive by this title? AI: I try to always summarize my novels in my titles. The first novel I wrote that was not published was titled: The Deserved fate. The Deserved Fate was talking about a jealous step mother who ends killing her son. She had wanted to kill her step son so her own child will inherit her husband’s wealth. The second, We Forever Crouch In Fear (unpublished) talks about having to be perpetually subjected to oppression to the point that you loose your will to fight back the forces that oppress you. You have been brutalized so much that the only thing you know is fear. And Treachery In The Yard is about police corruption. And the next novel in the detective Tammy series is titled ‘The Patron of Terror’ and it is about the real people behind the crimes in our society, the people who profit from such crimes. The list goes on. So you can see that I just try to summarize the story in just one word or a phrase. I don’t think hard about it, I just look for one word or phrase that will best summarize the theme of the novel. I don’t struggle with it. I guess that’s part of my gift as a writer. GR: Have you always wanted to be a writer? And do you write full-time or part time? AI: I had wanted to tell stories of what happens around me. I know if I write these stories, people will be interested to read them so I started writing. So, yes, I have always wanted to be a writer. I knew I could write stories that would interest a lot of people, not like Hadley Chase, because I was into James Hadley Chase novels in my secondary school days at the time, but I knew I could tell stories people would want to read. That was what started me on the journey to becoming a writer. I don’t write full-time now. I still have to work to earn a living but like any other writer who takes his writing seriously, I hope that my novels do very well so I will be able to live off the proceeds. If that happens for me, I can see myself writing full-time. But till that time, I write part time and work part time to earn a living to support my writing. GR: Do you have a daily routine or schedule for your writing? AI: Yes, I have a strict writing routine I try to observe. For you to succeed as a writer you need to have a routine or you may never get any work accomplished. It’s easy to procrastinate, so a healthy dose discipline is also needed. I try to be a disciplined writer but sometimes I just can’t even keep to my own routine and I procrastinate. Other times, my writing routine can be disrupted by events. Electrical power is one. But despite that, when I’m working on a manuscript, I try to go to bed as early as 8.00pm after an early dinner. I set my alarm to wake me up by 11.30pm and I write till around three in the morning. Then I go back to bed. I try to write every night till I finish a novel and sometimes I write during the day too if I’m feeling up to it. GR: Do you have a target audience in mind when you’re writing? AI: I try to write stories that could be enjoyed by everyone but of course, my target audience is the youth and middle aged persons. For one, they are greater in number in the population. GR: Nigeria is a country endowed with so many gifted and talented writers spanning from the old generation to the recent crop of new writers and each with his/her own unique voice. Where can you place your voice and what makes your voice and work unique from other writers? AI: I still say that little has been written about the modern day Nigeria even by the new generation of Nigerian writers, so I can say that my writing introduces life in the modern day Nigeria. Also the topical and controversial issues such as Police corruption, the political and social atmosphere of the modern day Nigeria make the novel to standout. GR: The issue of publishing a book could be quite hectic for most writers. How did you arrive at getting your work published? AI: It’s very very hectic trying to get your novel published. I do not have an agent, and I had to pitch my novel with publishing houses myself until I got the contract with St. Martins Press, USA. It was not all rosy and an easy road to becoming a published writer. I remember I sent out more than twelve thousand email queries in the seven years it took to get my first novel published, and 99% of the replies to those queries were rejection letters. I started writing Treachery In The Yard in 2001 which was inspired by the aftermath of the return of democracy in Nigeria. It took me two years to finish the novel because I had to put it aside several times to fend for myself and go back to it when I have the time. 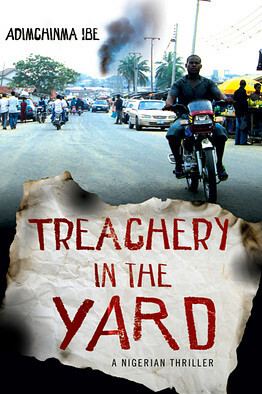 When I finished the first draft in February 2003, no publisher in Nigeria was ready to give Treachery In The yard a second look, and I was almost frustrated. I nearly gave up hope of ever publishing any of my stories, until 2005 when I had the idea of looking for publishers for my stories outside the shores of Nigeria. Three years later I signed the contract with St. Martins Press, USA to publish the novel and August 3, this year, Treachery In The Yard was finally published in the US. It was a dream come true, but as you can see, it was not an easy road. So, yes, it was hectic. Other writers have more enduring stories to tell about their journey to becoming a published writer. GR: Which writer(s) have most influenced your writings? AI: Let me see…, okay, apart from James Hadley Chase, writers like Patricia Cornwell, David Baldacci, Stephen White, and works by Elmore Leonard, Stephen King, and Robert Palmer. GR: Any favorite book(s) you’ve read and still linger on in your mind? AI: I read a good number of the James Hadley Chase novels when I was in final year of Junior Secondary, and beginning of Senior Secondary and I thought the novels were awesome. I still think they were awesome. Thanks to GoodBooks Arica, the Hadley Chase series will be reproduced in Nigeria. I’m thinking of ordering the complete novels for my library. GR: How and what was it like when you first saw your name on the cover of your book? AI: I think every writer’s dream is to have his work published, so you can imagine the feeling when my work was finally published. I was overjoyed when I first held the finished book in my hands. It was a feeling of accomplishment, a feeling that you have accomplished something truly worth the effort because a lot of time, energy and sweat goes into writing a novel so for your work to be accepted and published in the first place means that you have written quite a good piece. It doesn’t necessarily mean that it is superb, but that it is worth reading. GR: It is one thing writing a book and another thing marketing and promoting it. Has the marketing been that good? And how are you promoting the book? AI: I believe that marketing can make or mar a work of art… and in as much as my publisher has a marketing department that works tirelessly to promote the novel, I still have to contribute to promoting the novel like with this interview and other interviews. I spend a huge amount of time on the Internet, trying to create more presence for the novel on the Internet using facebook, Myspace, twitter and other social networking site, and the feedback has been good. GR: What is the reading culture in Nigeria like? Do Nigerians read at all? AI: In a population of over 140 million people, writers should not be worried about being able to sustain themselves from their writing. It’s because the reading culture has dwindled in recent years, but I see a future in the Nigeria literary scene where writers do not have to live like paupers any more. I recently wrote in one of the interviews like this one that I think that the Nigerian reading culture took a nose dive with the introduction of Structural Adjustment Program (SAP) by the military government in power at the time as people have to concern themselves more with surviving the biting economy, than waste time on less important things like reading novels, in the face of biting hunger. I wrote that as a joke, but the more I look at it, the more am convinced that the situation is very true. In other words, if the economy improves, people will try to relax more, and like I said, one of the ways to relax is to pick up a novel and read. GR: Has the publication of your debut novel changed your life in any particular way? AI: Ah, yes, the publication of my debut novel really has changed my life. I can’t say I am an accomplished writer yet, but I now see myself as being able to have a career as a writer. It’s good when your efforts pay off. It changes everything. I’m now more confident that I will make a good writer and I can do more. GR: Is/Are there any challenge(s) you’ve faced so far in your writing life? AI: Writing the novel was the easy part. Trying to sell the novel to literary agent who would try to pitch the novel to publishing houses and try to find a publishing home for the novel was the really difficult and challenging part. GR: How much of research goes into your writings? AI: I have not reached that point where I have to spend a lot of time researching a novel. Everyday day happenings around me is enough fodder to write my stories, but maybe in the future, when I try my hands in other genres, I may have the need to devote more time to researching for my novels. So far, I just look around and I just write. GR: How do you envisage the literary scene in Nigeria to be like in the near future? AI: The literary scene in Nigeria is not where it should be yet. But the reading culture will improve again, especially now we have more novels talking about familiar environments that the Nigerian readership can relate to. We might not be comparing ourselves with US and UK yet, but it will surely get better than what we have at present in the near future. GR: What is on your writing table now? What should your readers look out for in the near future? AI: The next in the series will be coming out soon. And there are a couple more stories about detective Tammy in the works right now, as I am working on having a new title of the detective series out every year. It’s a big target I’ve set for myself, but one I have every intention of meeting, so my readers will not be in doubt if the series is going to continue, because it will. In the coming series, other topical issues in Nigeria will be talked about. A little of what is going on in the Niger Delta will play out in the stories. And issues like the popular Nigerian 419 Scam will come into focus. Some readers also want to read about the religious crisis in Nigeria. I’ll take all of these issues into consideration in the subsequent novels. GR: Where can readers get copies of your book to buy? GR: Your last words most especially to your readers. AI: Every writer’s work is worth so little if he is not read. And every writer writes so he could be read, so I am hoping this is going to be a life long relationship with my readers. I see myself writing well into my seventies, so am just warming up, and I’m getting better as I go on. So we are going to see more exploits of detective Tammy as long as possible. Read an excerpt of Adimchinma Ibe’s book ‘Treachery In The Yard’ here. This entry was posted on Tuesday, November 9th, 2010 at 1:20 pm and is filed under Uncategorized. You can follow any responses to this entry through the RSS 2.0 feed. You can leave a response, or trackback from your own site. An in-depth interview… long but worth the read. Thank you Nana…I always want to get the inside-out of these authors to my readers. Another crime fiction writer. Wonderful and looking forward to the book. You may want to read the excerpt here…his book seems to be promising one. Not yet seen this book…I may have to search it…I love the authors responses. Geosi, thanks for this post. Linda, you can find it online on amazon. Click the links to get one for your self. Thanks for this comment. And lest I forget, I’ve read the excerpt and true, it hooks you in, very suspenseful. There you are…It hooked me too. Has a heavy dose of suspense. Day in and day out, Nigerians are writing so many books. I tempted to believe that Ghanaian writers would take clue from this and write more. I’m a new visitor n I like the questions asked. Thanks for this comment. I think what you’ve said is absolutely true… Ghanaian writers really have to write more. Thanks for this post Geosi. It’s very insightful. The more I hear about the life of writers, the more inspiration I get to write… Good job. Thank you as well for commenting. Keep visiting here. I like Stephen King too just as the writer has said. if he likes his works then I will have to read him too. yes.. you have to try and read this if you liked the first chapter. I liked the chapter one as well… has a good dose of suspense(have already said this) and yes…the name…you have to try and pronounce it. lol! Thank you Amy! Myself, I’ve not even read it…Only read chapter One…but will certainly read it and perhaps review it. Maybe, you may want to count on my review later.